The seaside resort of Ainsdale, on the edge of the town of Southport, was historically a part of Lancashire but is now situated in Merseyside, it lies on the Irish Sea coast. The town is mentioned in the Domesday Book of 1086, where it is referred to as Einulvesdel. Which derives from Old Norse name Einulfsdalr, this apparently was the valley occupied by a Norseman by the name of Einulf. Ainsdale formed part of the estate of Sir Cuthbert Halsall during the early part of the 1600s. When he fell into debt the land containing Ainsdale (then Aynsdale) had to be sold. In 1634 the ownership of the estate passed to Robert Blundell. The lands were passed from generation to generation within the Blundell family and remained in their ownership until the mid twentieth century. 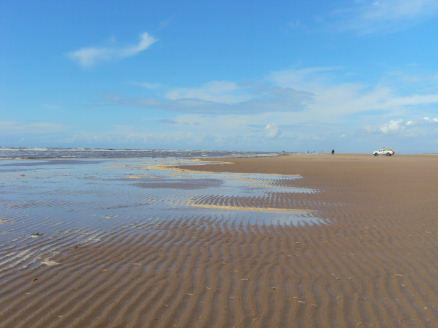 Ainsdale Beach (left) with its miles of golden sands, is one of the most popular on the Sefton coast and has been awarded a Quality Coast Award by Keep Britain Tidy. It is the only beach in the North West to have ever been awarded the international Blue Flag (in 2004 and 2006). The beach provides excellent coastal views, with the distinctive profile of Blackpool Tower and even the mountains of the Lake District visible on a clear day. The Ainsdale Discovery Centre, situated adjacent to the beach and Ainsdale & Birkdale Sandhills Local Nature Reserve, provides local information, a classroom facility, venue for events and free cycle hire. Ainsdale Sand Dunes National Nature Reserve, one of the largest areas of wild dune land left in Britain, is home to over 450 plant species including 33 that are locally or regionally rare like petalwort, seaside centaury, yellow bartsia, round-leaved wintergreen, dune helleborine and pendulous flowered helleborine. The reserve is one of the most important wildlife sites in England, and a place where visitors can get close to nature. 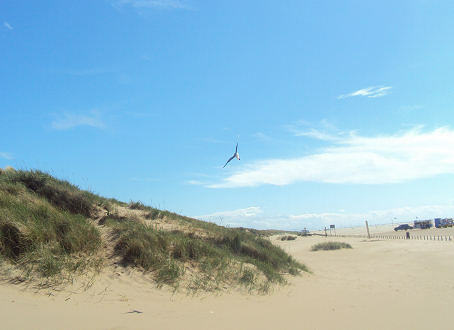 The landscape is perfect for a leisurely stroll through the magnificent scenery of dunes, pinewoods and golden sands. It is a typical sand dune system with high ridges and dune valleys containing slacks. Slacks are low hollows formed in wind-blow, often flooded during the winter, containing unusual plants and animals. Some provide breeding pools for Natterjack Toads. This is one of the best remaining strongholds of the rare natterjack toad, Europe’s loudest amphibian, while sand lizards, great-crested newts and a fantastic variety of orchids and other wildflowers can also be found there. 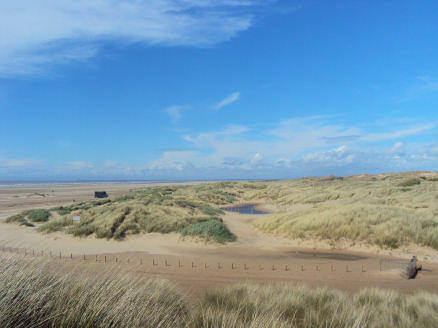 The reserve was established in 1980 and now covers 988 hectares of open dunes and beach, it has a network of around eight miles of footpaths marked with coloured topped posts. The Woodland Path and Fisherman’s Path are accessible by bike, pushchairs and wheelchairs, and there is an accessible picnic area to take a well earned rest along Woodland Path. The reserve is managed by Sefton Council's Coast and Countryside Service. 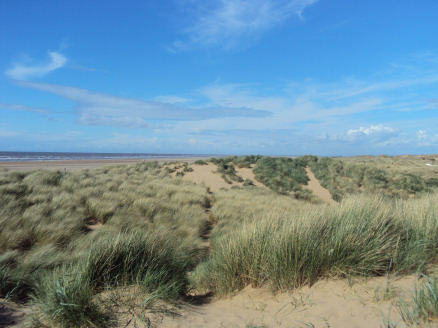 Both the Sefton Coastal Path and the Trans Pennine Trail both pass through Ainsdale. A number of waymarked nature trails are also accessible from the town. Formby Red Squirrel Reserve - owned and managed by the National Trust. The reserve is one of twelve red squirrel refuges in Britain. Botanic Gardens, Churchtown - Nationally renowned for its floral displays, the gardens are popular with local people and visitors alike. RSPB Marshfield Nature Reserve The RSPB coastal Nature Reserve, situated on the Ribble Estuary, just to the north of Southport, offers excellent opportunities for birdwatching with two hides, a viewing platform and three viewing screens. Rufford Old Hall -Timber framed Rufford Old Hall at Rufford near Ormskirk dates back to the sixteenth century and is one of Lancashire's finest Tudor buildings. Windmill Animal Farm -Windmill Animal Farm at Red Car Lane in Burscough, Lancashire was first opened to the public in 1992 and offers visitors the chance to experience the every day running of an actual working farm while still having the chance to watch, feed and touch the animals. Martin Mere -seasonally flooded wetlands attracts tens of thousands of migratory geese and wetlands birds making it one of the finest birding locations in the country.